Sadhana means spiritual path, that is the whole all the practices, the rituals and the austerities that are performed with regularity and concentration, with the purpose to get Moksha (liberation). It is an act of purification and amplification of the mind, which leads to self-realization. 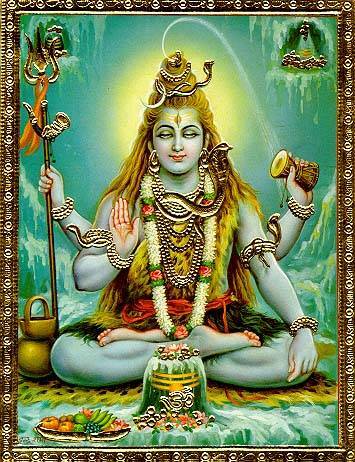 In the tantras is affirmed that Shiva, in his endless grace, full of compassion for the suffering beings in this dark age, proclaimed through the tantric sadhana the spiritual emancipation. Tantrism is not a simple theory or philosophy, but it prescribes above all a systematic sadhana, a regular discipline, according to the temperament, ability and evolutionary degree of the apprentice. 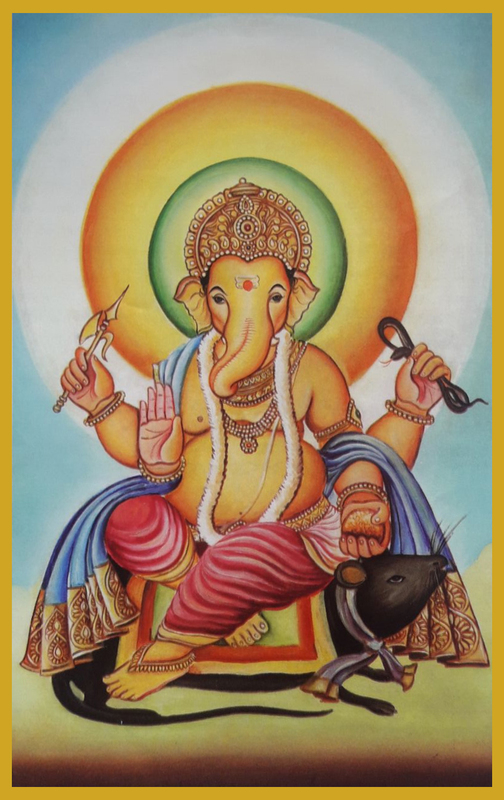 A formidable opportunity to experiment extraordinary techniques for the spiritual evolution, introducing in the world of the yantras, mantra and tantra. 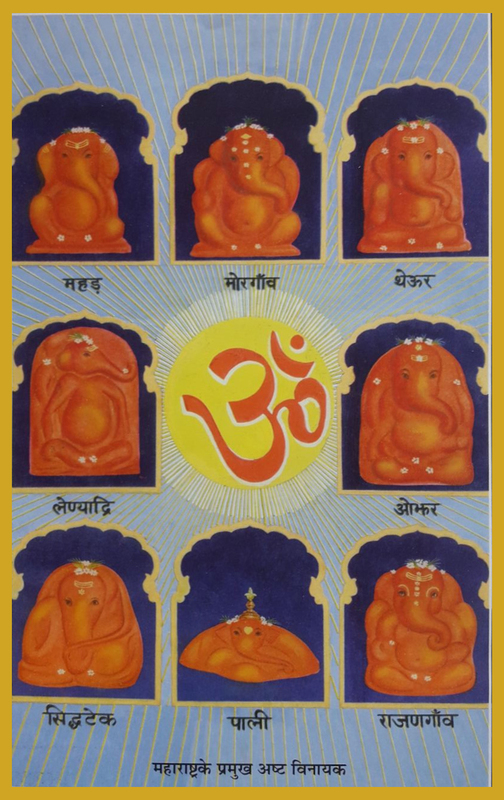 Yantra, mantra and tantra symbolically represent the three paths of the Hinduism. Yantra represents the path of the knowledge (Jnanamarg), Mantra represents the path of the devotion (Bhaktimarg), Tantra represents the path of the action (Karmasanyasmarg). N.B. The procedures of these Sadhanas are secret (Gupta), passed only from Guru to disciple. Pancha Makara is also known as the Five Ms. 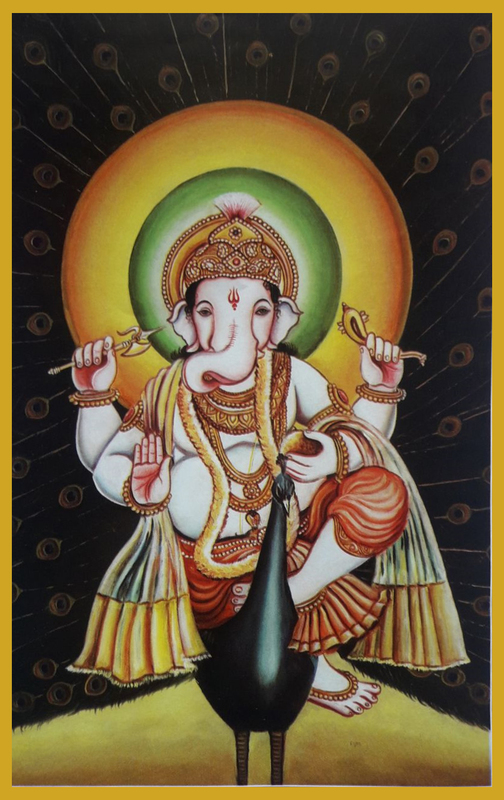 In this Sadhana the five elements are purified and energized by the mantra, through them and along with the identification with his own divinity the Aghori can develop the divine connection to the cosmic Shakti. Madya: wine. It represents also the divine nectar called Amrita. Transforms the Tattva of Fire. Māṃsa: meat. It represents for the control of speech. Silence. Transforms the Tattva of Air. Matsya: fish. It represents the Ida and Pingala Nadis that are controlled by the sadhak through the practice of Pranayama. Transforms the Tattva of Water. Mudrā: grains. It represents the spiritual company but also the upright posture. Transforms the Tattva of Earth. Maithuna: This is the most misunderstood concept of Pancha Makara. 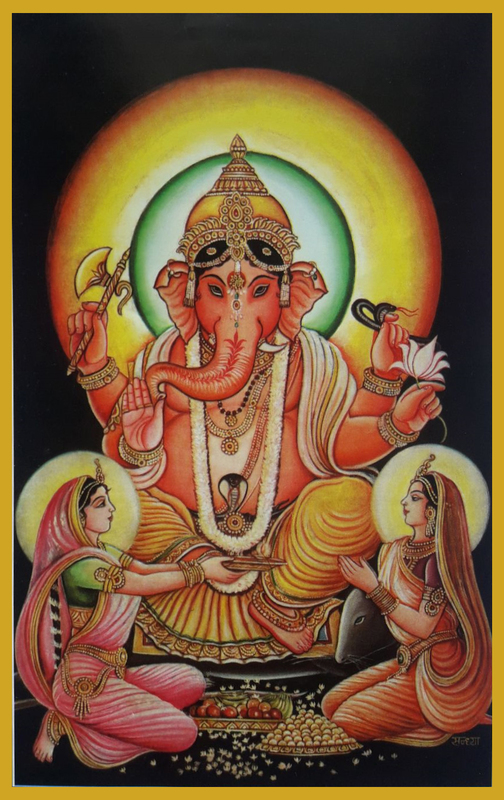 Maithuna literally means union, is the union of the goddess Kundalini with Shiva. Transforms the Tattva of Ether. In Panchamakara Sadhana the subtle properties of each element are known and followed up with the awakening of the Kundalini and its consequent rise. Here the Aghori will experience the perfect knowledge of the microcosmic world and will internally use the properties of each element. When the Kundalini reaches Visarga Bindu, the divine nectar is blessed. While the macroscopic world is only a limited reality, depending on which level exists the self, the complete understanding of the microcosmic levels will give an understanding of all the worlds that exist in the subtle levels, levels that have equal representation in the macrocosmic space. After the climb up to Visarga Bindu, the Kundalini starts its way down, once again visiting all the subtle worlds. On achievement of the original residence of Kundalini in Muladhara Chakra, the Aghori can now understand the world with a new awareness, and the identification with the deity gets closer and closer to perfection. 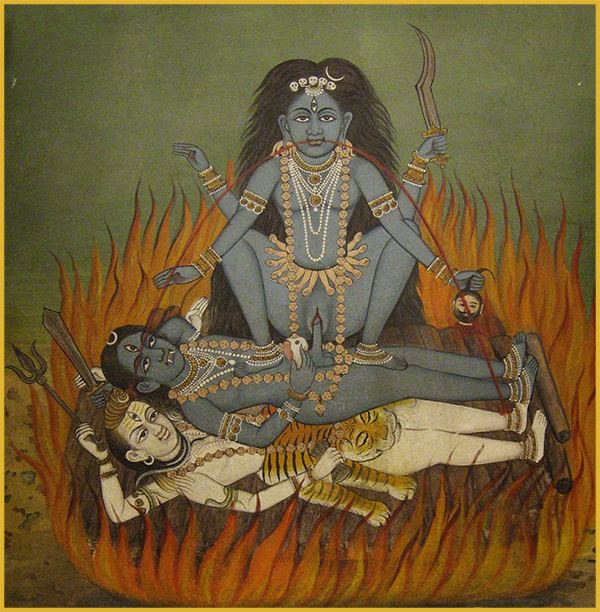 Shava Sadhana (शाव साधना) is a spiritual practice of the Vamachara Tantra in which the Sadhaka sits in meditation on a corpse. 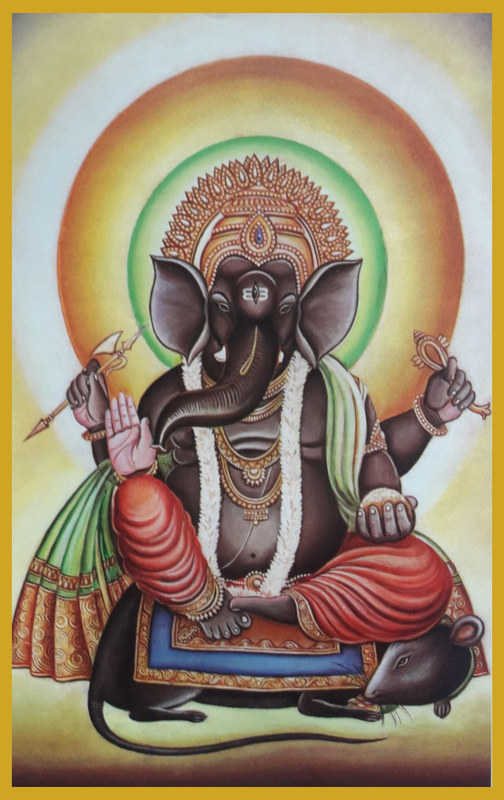 Shava Sadhana is considered the culmination of Tantric philosophy, it is one of the most important, difficult and most secret rituals of tantra. There are strict rules that must be followed in the ritual and choice of the appropriate corpse and specific secrets mantras are used. If the ritual is not performed correctly it can lead to disastrous consequences. Even a small mistake in the ritual can lead to the practitioner's death or madness. Very few, including the aghori, know the correct procedures which are handed down only from guru to disciple. This of course gives rise to many conjectures and misunderstandings that result in false and incorrect procedures or even in videos totally distant from the original ritual that remains secret and should not be filmed. Through the Shava Sadhana you explore that thing that everyone is so scared, death. The ritual is done using a corpse, considered by Hindus to be a highly impure symbol and a taboo. The close encounter and the union with death overcomes this fear and leads to liberation. 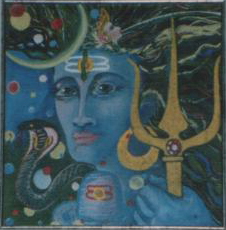 The aim is to join the Kundalini with Param-Shiva. It is an alchemical process that transforms gross energies into subtle energies. From the yogic or tantric point of view, it means detachment from the physical world and union with the Absolute. Detachment leads to liberation from Samsara (the cycle of birth, death and reincarnation) and one stands beyond all duality in a cosmic union. Shava Sadhana is performed at night during Amavasya (new moon) in a crematorium, in a sacred place or in any solitary place. In various tantric texts (such as Tantrasara, Nilatantra, Kaulavali-nirnaya, Kulachudamani and others) are described the rules and procedures to accomplish it but the mantras and many procedures remain gupta (secrets) and only the guru can impart them to the disciple. 1. 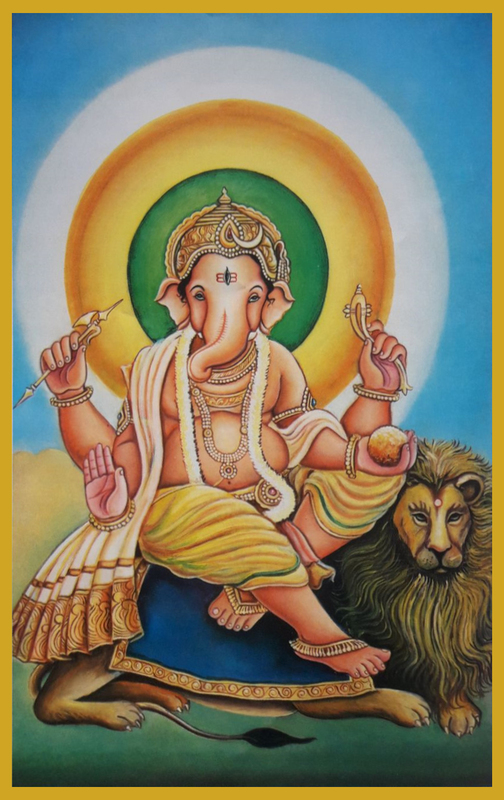 Vakratuṇḍa "curved trunk", his mount is a lion. He destroyed Matsara, the demon of jealousy. 2. Ekadanta "single tusk", his mount is a mouse. He destroyed Mada, the demon of drunkeness. 3. Mahodara "big belly", his mount is a mouse. He destroyed Moha, the demon of illusion. 4. 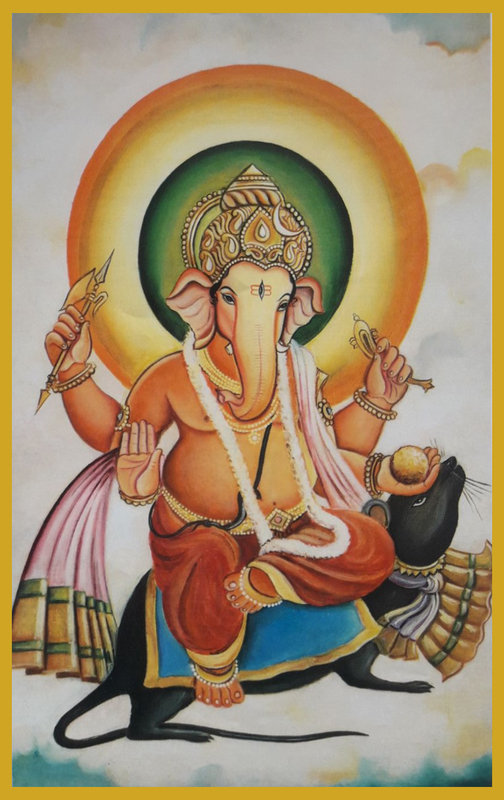 Gajānana "elephant face", his mount is a mouse. He destroyed Lobha, the demon of greed. 5. Lambodara "pendulous belly", his mount is a mouse. He destroyed Krodha, the demon of anger. 6. Vikaṭa "unusual form", "misshapen", his mount is a peacock. He destroyed Kāma, the demon of desire. 7. 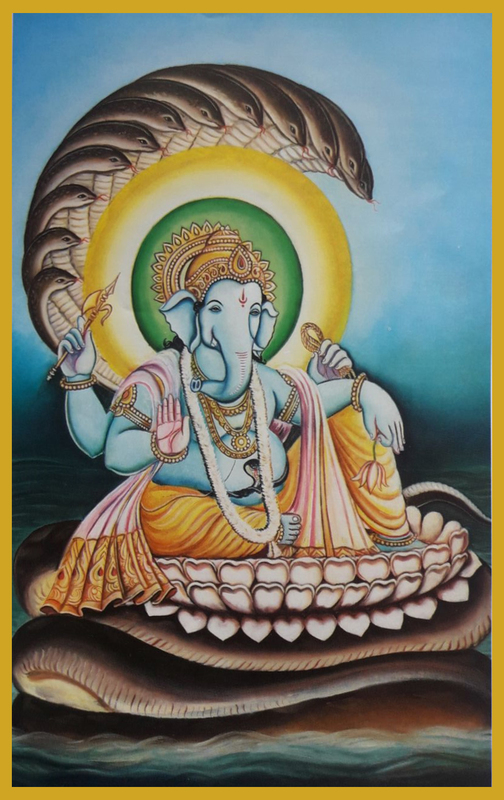 Vighnarāja "king of obstacles", his mount is the celestial serpent Śeṣa. He destroyed Mama, the demon of ego. 8. 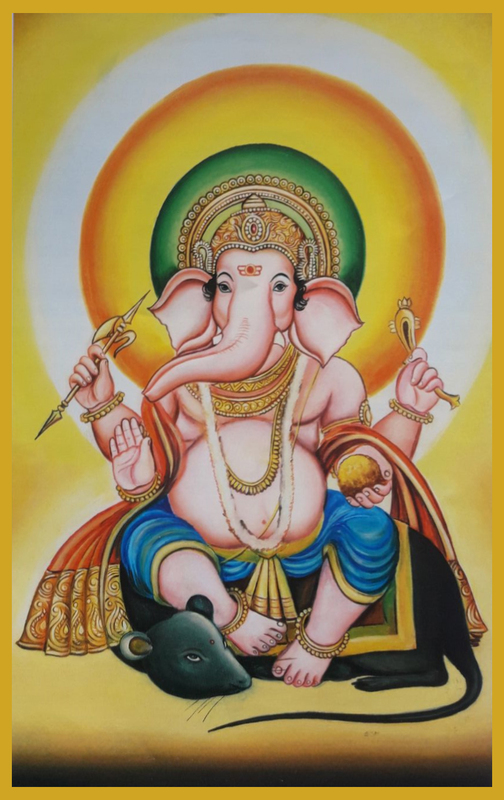 Dhūmravarṇa "grey color", his mount is a mouse. He destroyed Ahamkāra, the demon of self-infatuation.